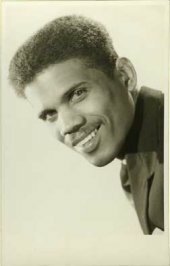 CAREER: Henderson learned to play the piano as a young man growing up in Trinidad and, by the late 1940s, had formed his own quartet. He went on to provide backgroud music for many local recordings by calypsonians such as Roaring Lion, Mighty Growler, and Lord Pretender. 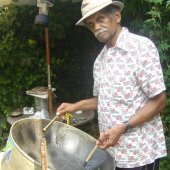 He was the pianist for Beryl McBurnie's Dance Troupe at the Little Carib Theatre where he gained some valuable knowledge of the steelband while teaching correct melodies to Ellie Mannette of the Invaders Steelband who also performed there. 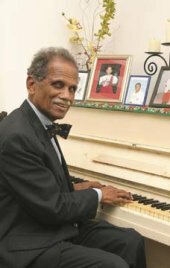 He left Trinidad for England in 1951 to study piano tuning but landed a job as a pianist within two weeks of his arrival. 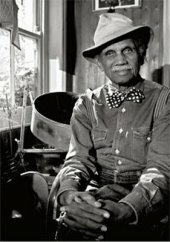 In 1952, he quit his studies and formed his own band, playing both jazz and calypso music. He later integrated pan music into his band's performance, after he had learned to play pan upon his arrival in England. He accomplished this endeavor with his drummer and experienced panman Sterling Betancourt. While in England, he teamed up with with Fitroy Coleman and Rupert Nurse to accompany Lord Kitchener in his recordings. 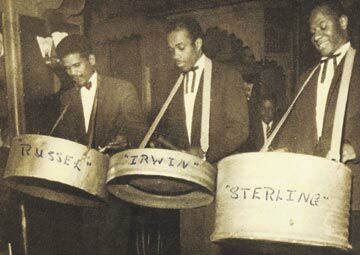 He is credited with being one of the innovators (along with Sterling Betancourt and Ralph Cherrie) of the annual Notting Hill Carnival after they were asked to play in a children's festival in Notting Hill in 1965. In 1970, he began teaching pan in the schools of Croydon in South London. 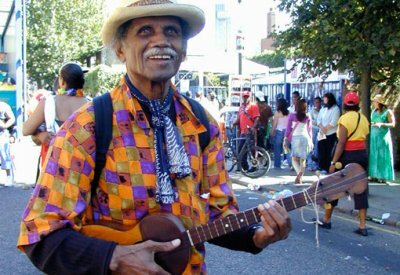 For his contributions to music in England, by intoducing pan in schools and his role in the annual Notting Hill Carnival, Henderson was awarded the MBE in 2006. As he grew older, Henderson fell out of love with the calypso rhythm and continued playing jazz and latin music on the nightclub circuit well into his eighties.